David Clark works in the Guilford County Public Defender’s Office, representing clients charged with high level felonies. All of them are presumed innocent until proven guilty, but that doesn’t mean they receive equal treatment. Clark says this is a too-common example of something he has observed for years. Defendants with money can pay their bail or a percentage to a bail bondsman. They get to await their day in court at home, their lives relatively undisturbed. If they’re charged with violent crimes or there’s an argument they are a danger to the public, their bail may be higher. But if they have the money or access to it that doesn’t end up mattering. Poor defendants, even facing much less serious charges, often end up in jail because they can’t afford even a few hundred dollars for bail and because bail agents don’t stand to make enough money off of their small bails to bother with them. There are other costs, as well. The poor defendant who ends up in the county jail will cost taxpayers $82 a night until his court date – sometimes a month or more away. That’s often more time than they would get if convicted of minor crimes. Over that month in jail they may lose their job, their home, even their children because they are unable to care for them. 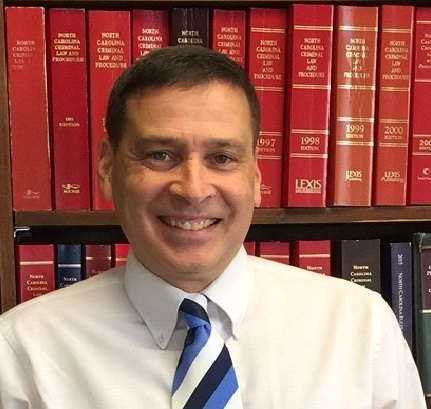 Before becoming a public defender in 1991, Clark was a JAG officer in the United States Air Force – a circuit defense counsel representing military members in the Western United States and Hawaii. He continued that work in the Air Force reserve for 18 years. If that system can determine whether defendants – all of them with military training – are likely to be dangerous or a flight risk, Clark said it shouldn’t be impossible for civilian courts to come up with a system that doesn’t reward some defendants for their wealth while punishing others for being poor. In fact, a number of states are moving toward the elimination of a cash bail system altogether. A national movement for evidence and data based systems for determining the risk of pretrial release has led to major changes in states like New Jersey, Arizona, Indiana and Maryland. Still, state and federal data show that two-thirds of the U.S. jail population has yet to see trial. Many of those face relatively low-level charges, but are unable to afford bail set by the court as a condition of their pretrial release. Of those, a disproportionate number are ethnic and racial minorities. Last year the Pretrial Justice Institute , a national group advocating for bail reform, issued a state-by-state report card that graded states according to their pre-trial procedures. Only one state, New Jersey, which essentially eliminated cash bail last year, received an “A” rating in the report. There were nine B’s, ten Cs, 12 D’s, and 17 F’s. Delaware was the only state to receive an “Incomplete” because one of the three indicators used—rate of pretrial detention—was unavailable. Only 10.4 percent of North Carolinians live in such a district, according to the report. That’s a problem, said Clark, the assistant public defender in Guilford County. “Such tools hold the potential for a safer and more just North Carolina,” the commission concluded in a report on the subject. So why has reform been so slow? Why, in many respects, does state legislation seem to be going in the opposite direction? But the political problem goes deeper. Without a proper, verifiable system in place for making that sort of decisions, they are made very unevenly across jurisdictions. At least three North Carolina counties – Mecklenburg, Durham and Buncombe – have moved toward such a system. Mecklenburg, which has an assessment tool in place assigning a point value to defendants to determine the appropriateness of their release, was an “implementation site” in the program. Durham and Buncombe were “innovation” sites, getting short-term support to design and test new approaches. If moving toward an evidence-based system that doesn’t disproportionately harm minorities and the poor isn’t enough incentive for change, another may be emerging: the threat of litigation and pressure from the courts. The United States Court of Appeals for the Fifth Circuit recently found, in O’Donnell v. Harris County, that a Texas county’s system of setting bail for indigent misdemeanor defendants was unconstitutional. 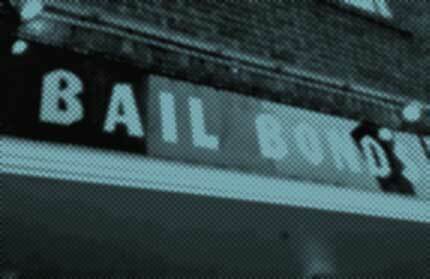 In Texas—as elsewhere—secured bail requires a defendant to post a bond, either out of pocket or from a surety, often a bail bondsman, who requires a non-refundable fee. Unsecured bail allows the defendant to be released without money down up front, but imposes liability on the back end if the defendant fails to appear or comply with conditions. In Harris County, when a misdemeanor defendant is arrested, the prosecutor asks for a secured bond amount according to a bond schedule established by local judges. Hearing Officers set bail, at a probable cause hearing to be held within 24 hours of arrest. A judge reviews that determination at a “Next Business Day” hearing. When making bail determinations, state law requires an individualized review of things like ability to pay, the charge, and community safety. The bond schedule is not supposed to be mandatory and Pretrial Services sometimes offer bail recommendations. That’s a system that sounds eerily familiar to many public defenders across the state – and to those advocating for bail reform elsewhere. Some are hoping the ruling will pressure other jurisdictions to make long-overdue reforms before they end up in court themselves. Among those groups is the ACLU of North Carolina. The group will launch a public information campaign at its annual membership meeting in May, where it will hold a panel on cash bail and its Campaign for Smart Justice. 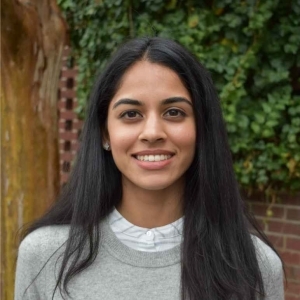 “We’re working to end cash bail and the practice of using cash bail entirely,” said Sneha Shah, staff attorney with the ACLU of North Carolina. Shah, who worked as a public defender in New York before joining the ACLU, said the current system of bail in North Carolina is “a mutation” of its original purpose. That presents serious questions about the constitutional right to equal protection under the law, Shah said. Just going through an evidence-based process to determine if someone is a threat to public safety would vastly reduce the number of people who are in jail simply because they can’t pay bail, Shah said. Other states have found that something as simple as a more effective and efficient system for communicating with defendants about their court dates drastically reduces the number of people who fail to appear for them. Prevailing public ideas about defendants being de facto dangerous or a risk to flee are often based in classicism and a failure to understand the lives of poor people and how they interact with the criminal justice system, Clark said. In the coming weeks and months, Policy Watch will continue its series of stories exploring the bail industry in North Carolina – its influence, impact and costs to the state and its people. We’ll talk with bail bondsmen, attorneys and law enforcement officials as well as those who have dealt with the industry at some of the most vulnerable moments in their lives. If you would like to share your experiences with the bail bond industry with Policy Watch as these stories unfold, please contact investigative reporter Joe Killian at joe@ncpolicywatch.com.